ASUC Senate convened for the last time this academic year Wednesday to hear committee reports and pass a series of resolutions. The resolutions, which all passed unanimously, included, among other items, the formation of a housing oversight committee and the establishment of a diversity scholarship commission. The Senate passed SR 85, which established a Diversity Scholarship Commission that will be responsible for allocating award scholarships to underrepresented minority students. The scholarship aims to “encourage diversity on the UC Berkeley campus,” according to the bill’s text. 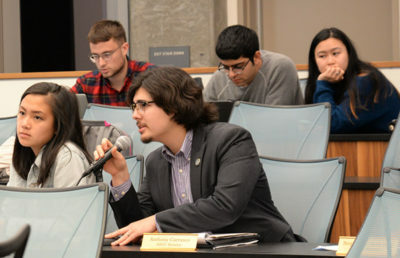 Senate also passed “A Resolution to Establish the ASUC Housing Security Fee Committee,” or SR 94, sponsored by outgoing ASUC Senator Anthony Carrasco. 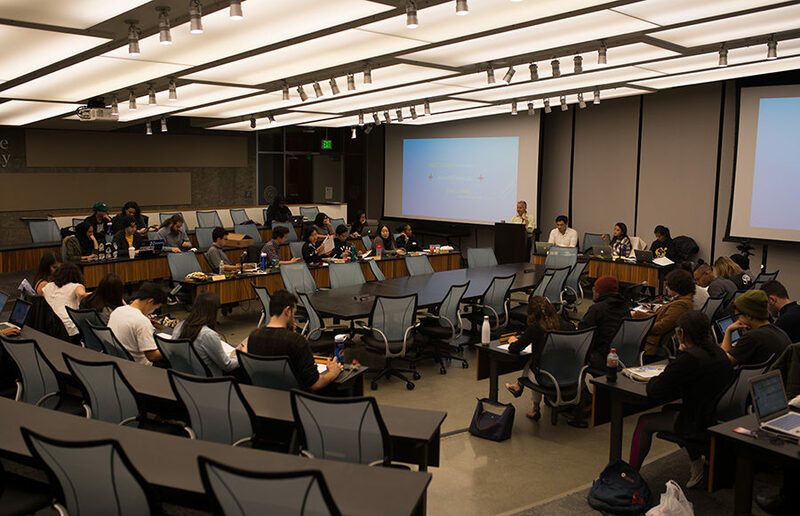 The committee will be composed of one ASUC Senator, one representative from the ASUC Housing Commission and the Student Advocate’s office each, two Graduate Assembly officials and one or two members from the campus-at-large, according to the bill’s text. 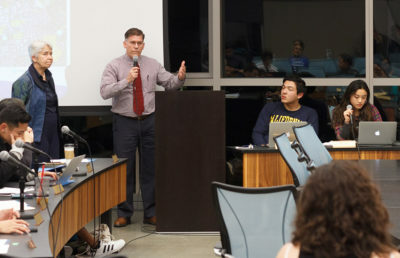 The bill was passed in collaboration with Carrasco’s office and the UC Berkeley Office of Financial Aid and Scholarships, and will put the Housing Security Referendum, a referendum passed in the 2017 ASUC elections, into effect. As part of the referendum, each student will be charged an additional $4. Carrasco said the fee will be allocated towards three pools — 33 percent will return to low-income students, 20 percent to staffers and 47 percent to the Housing Security Award fund. The committee will have varying responsibilities including drafting an eligibility criteria and setting priorities for funds allocations. According to Carrasco, demand for financial aid will exceed supply of available resources and it is important to serve the most financially vulnerable students first. Before setting all of the requirements, the committee will gauge public opinion through town halls and reviews. The committee will also be responsible for hiring staffers who will oversee the Housing Security Award fund, hold fundraisers and provide services to students seeking aid. Commenting on why he decided to draft this bill, Carrasco said he ran on a housing reform platform, which he said is an “unbearable problem” for the campus community. Carrasco said he believes the passage of this bill will provide a “tangible and realistic” solution to the current housing crisis. Carrasco, a strong proponent of Prop B, said students will be able to apply for the fund anytime of the year, unlike previous funds which were only available in mid-August or mid-January. According to Carrasco, this will solve the trouble students have to face when paying their security deposits by getting rid of the “rigid” timeline.